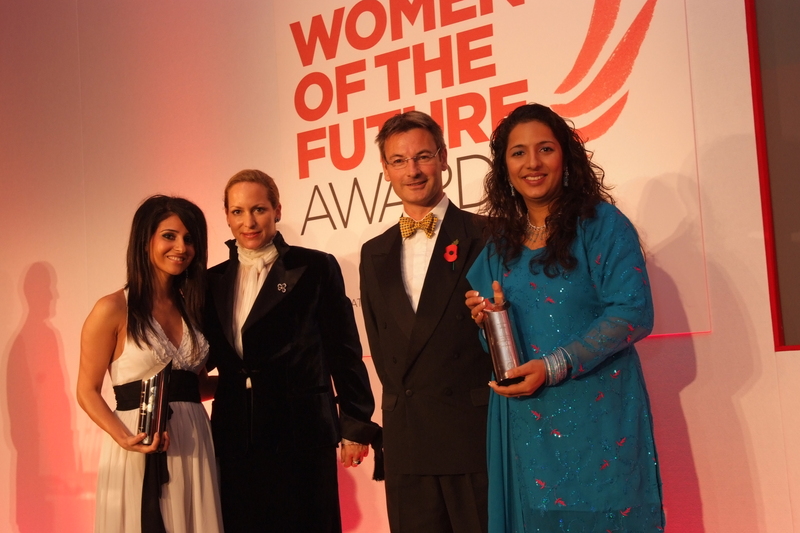 Britain`s most inspirational Sabina Iqbal has been honoured in the BT Women in the Future Voluntary Award, presented by Princess Zahra Aga Khan. Judges of this category included Clive Alderton, deputy private secretary to TRH The Prince of Wales and The Duchess of Cornwall at a lavish ceremony in London on 6th November 2008 at the London Marriott Grosvenor Square. The mission of the Women of the Future Awards is to showcase young talent of women breaking through the glass ceiling including the generosity of women, who not only building phenomenal business and careers but who want to give something back. It is humbling to see so many busy and successful young women devoting their precious time to sharing their experiences with the next generation. The evening was celebrated with the awards host – Kate Derham, ITV Newscaster; with well-known VIPs and celebrities in attendance, including Naga Munchetty of BBC Working Lunch, Theresa May, MP & Shadow Leader of the House of Commons and Shadow Minister for Women and Baroness Sue Greenfield (scientist). Many women are inspired by her achievements. Deaf Parenting UK Spokesperson: “Sabina, even as Deaf Asian woman, is an excellent role model and an inspiration to many women across the UK and the world. Her achievements are amazing, especially in her voluntary capacity, where she founded Deaf Parenting UK and her vision for the future for Deaf parents, enabling them to have a voice in the society and sharing models of good practices. For many, she is our Queen of Heart, so passionately campaigning and supporting the equality of Deaf parents”. Please see DPUK Press Release for more information.